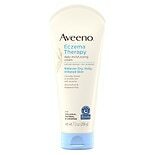 Shop Aveeno Eczema Therapy Daily Moisturizing Cream With Oatmeal (7.3 oz. )7.3 oz. 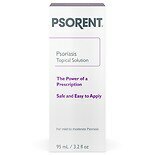 Shop Psorent Psoriasis Topical Solution (3.2 oz. )3.2 oz. $2099$20 and 99 cents$6.56 / oz.